You’ll find everything you need for beautiful, healthy hair here at Nourished Life. All our hair care products, from shampoo and conditioner to hair colour and hair spray, are based on the latest green science technology. When switching from chemical-based to natural hair care products, you can be sure that not only are they safe and toxin-free, they also work! As well as taking the greatest of care when selecting what goes into their products, the brands we stock are also passionate about protecting the environment and use sustainable methods and packaging wherever possible. Cleanse, protect, colour and style the natural way! Changes in temperature, stress and heat styling can really take their toll on our hair, so it’s important to look after it! Choosing the right shampoo and conditioner is a great place to start, and at Nourished Life you’ll find plenty of choice to set you on your way to luscious locks in no time! It doesn’t stop there, though. If you’re looking to cover greys or if you just fancy a change, take a look at our natural hair dyes. Our serums, hair oils, and intensive treatments protect your hair and keep it looking and feeling healthy and our hairsprays, gels, wax, whips and mousse let you rock your style from morning to night! Whether your hair is dry, frizzy, oily, thin, thick, dandruff prone, coloured, damaged, long or short we have the perfect natural hair care product for you. For example, Acure Moroccan Repairing Shampoo contains organic ingredients such as Argan Oil, CoQ10 and Pomegranate Seed Oil to moisturise and replenish dry and damaged hair. Yarok Feed Your Curls Defining Creme is formulated with vitamin infused ingredients that lock in moisture, and is great for curly or frizzy hair. If you need to give your scalp a little love, Weleda HairTonic is a natural, gentle product designed to nourish your scalp. 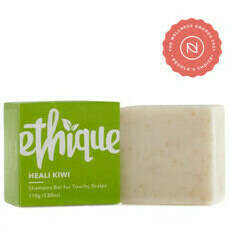 More than just sulphate free! With so many products on the market claiming to contain natural ingredients, the choice can be overwhelming. At Nourished Life, we’ve done the checking for you. 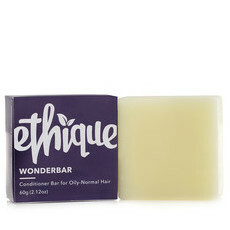 We only stock hair care products that are biodegradable and free from sulphates. We go the extra mile to ensure every product is completely free from toxins to bring you healthier, safer alternatives. These products work, as natural ingredients penetrate further into the hair than many synthetic products which only cover the surface. By choosing natural haircare , you can rest assured that the ingredients will not contaminate the environment or your body.